Tired of finding creative ways to hang your heavy kit to get it off the floor? 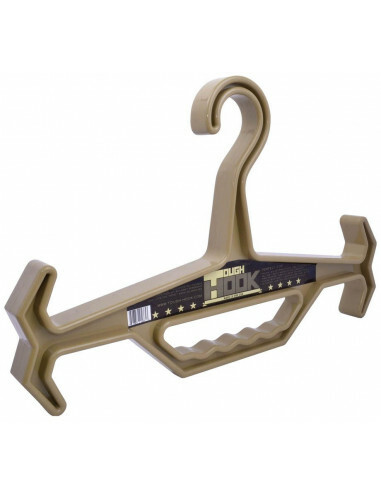 The Tough Hook Hanger is the easy fix with additional room for creative functionality. 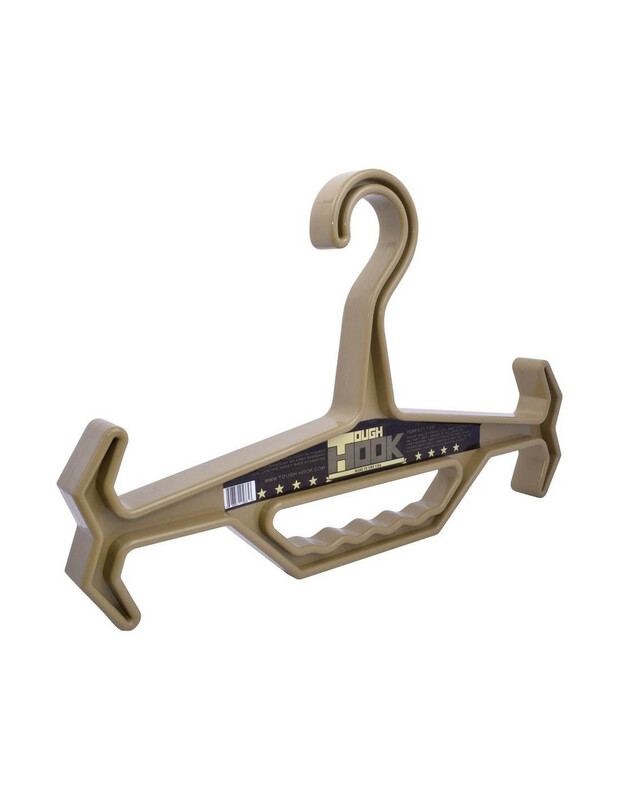 Made to hold heavy setups such as battle vests, scuba rigs, or whatever cool guy stuff you want to hang without having to worry about the hook exploding. These things are so tough one can even bust out pull ups with them.